central park hills are NO JOKE. my long run last week is STILL leaving me feeling it. can I tell you a secret? I loveeeee starbucks (< not the secret) and I loveeee lattes (< also not the secret) but… I’m kindof not really into any lattee that doesn’t involve mocha. WHAT?! I know. I know. I just think the chocolate makes the latte… velvety? is that a thing? all other lattes are too milky! WAHHH. i think i’m skipping my run today. ughhhhh. i went out to dinner with my dad last night and we had a few too many margaritas and the idea of hitting central park to tackle 8 miles worth of hills sounds HORRIBLE. do i run 8 miles tomorrow? what do i doooo? i love this. don’t get me wrong, i’m grossly in love with my boyfriend, but i feel like it’s inspiring to see strong women who are independent with lives that run just fine without a man. also, i’m strangely obsessed with the beckhams. I CAN’T EVEN. TV | game of thrones | we finished! how exciting. except um. NO to everything. i’m over it all. UGH. i can’t wait for the next season. also, how did we not see Bran ONCE that season. RIDICULOUS. ugh. | HTGAWM | i’ve only watched one of the episodes so i don’t actually know what the last episode had in it! DONT TELL ME. same for |scandal| i didn’t get around to watching that eitherrrr. TULIPS are the bestttttt. 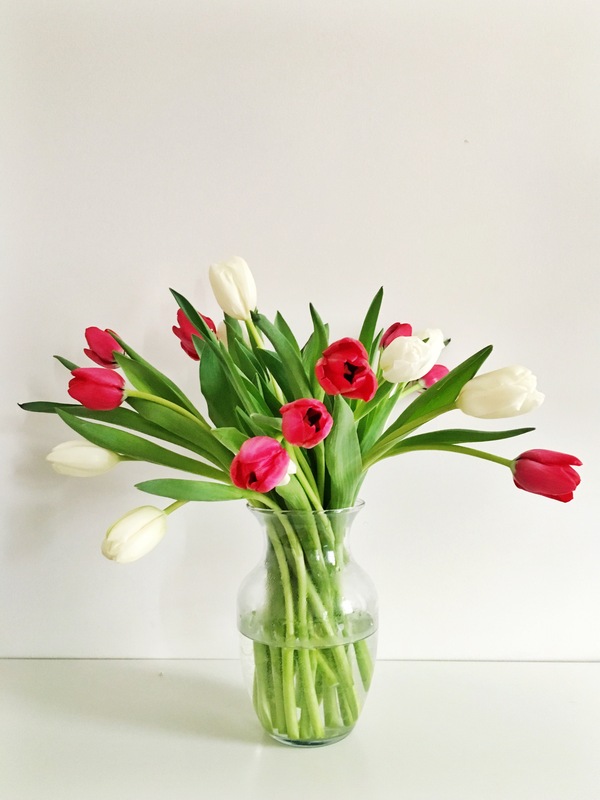 i love red and white tulips combined they’re so cute ?